All Aboard The Carrboro Whooper! I have always loved the mystique of trains, particularly trains pulled by steam engines. My Dad and I used to take “railfan” trips whenever they were run anywhere nearby. Southern Railroad maintained steam engines and special train cars until the late 1980s so they could offer these special rides to fans like us. Steam engines are so complex that they almost seem to be alive. They seem to have a heartbeat and breath. For many years, from the 1880s to 1936, Carrboro knew the mystique of riding the train every day. The Carrboro “Whooper,” as it was called, provided access to the distant outside world that the dirt roads in town couldn’t reach. The early train consisted of a mixture of freight and passenger cars. This was because there was not enough demand to have separate trains for each type of service. Passenger service ended in 1936. Other train services on these tracks included hauling mill goods, timber for railroad cross-ties and pulpwood. 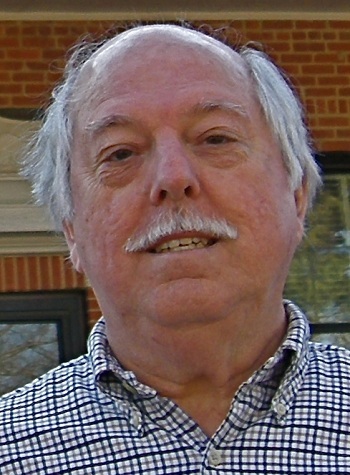 The Whooper was originally chartered from the Richmond & Danville Railroad as a spur to haul iron ore. Robert Hoke, a former Confederate general, and UNC President Kemp Battle banded together to get the railroad spur from University Station near Hillsborough to the community now known as Carrboro. Hoke and several others formed the Iron Mountain Mine Company in 1879 to mine iron ore from the location now occupied by the Ironwoods subdivision, off Estes Drive. The mine was in operation for almost a decade before it shut down. Most of the ore was hauled to Greensboro for smelting. But the ore was running out and the price of ore was running low. The train tracks were extended all the way to the UNC campus in the 1920s, ending in the area now occupied by Davis Library. It extended from Carrboro to West Cameron Avenue (where the present-day power plant is located) and turned eastward, running between Cameron Avenue and McCauley Street. This right-of-way is now used to run steam lines from the power plant to the campus. There was a trestle that crossed Columbia Street in the area of the current Naval Armory. 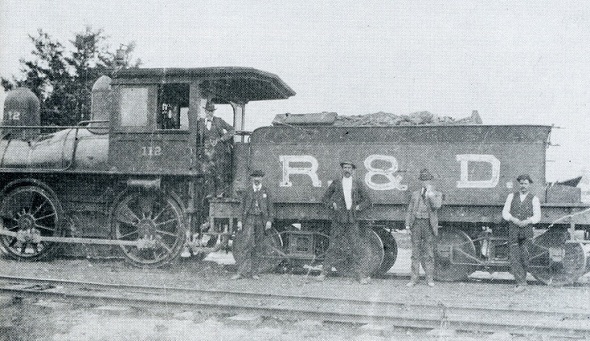 The railroad was used to transport materials to build some of the campus buildings, including Wilson Library, as well as providing transport for UNC students. It still hauls coal to the power plant. For many years, tracks also crossed Main Street in Carrboro and ran between the Armadillo Grill and Roberson Street. These tracks were installed to serve a mill built by Thomas Lloyd in 1911 after he sold his Alberta cotton mill to Julian Carr in 1909. Carr bought this mill in 1914. This mill was converted to a munitions factory in 1942 to manufacture anti-aircraft ammunition. I have heard a lot of conjecture over why the railroad runs into Carrboro. One story says that the railroad was not allowed to go any closer to Chapel Hill because it would be a distraction to the student population. This, of course, could not be farther from the truth. The railroad runs this chosen route because of geology and geography; that is where the iron mine was and this was the best route to it. After all, Carrboro was a railroad town well before it was a mill town.